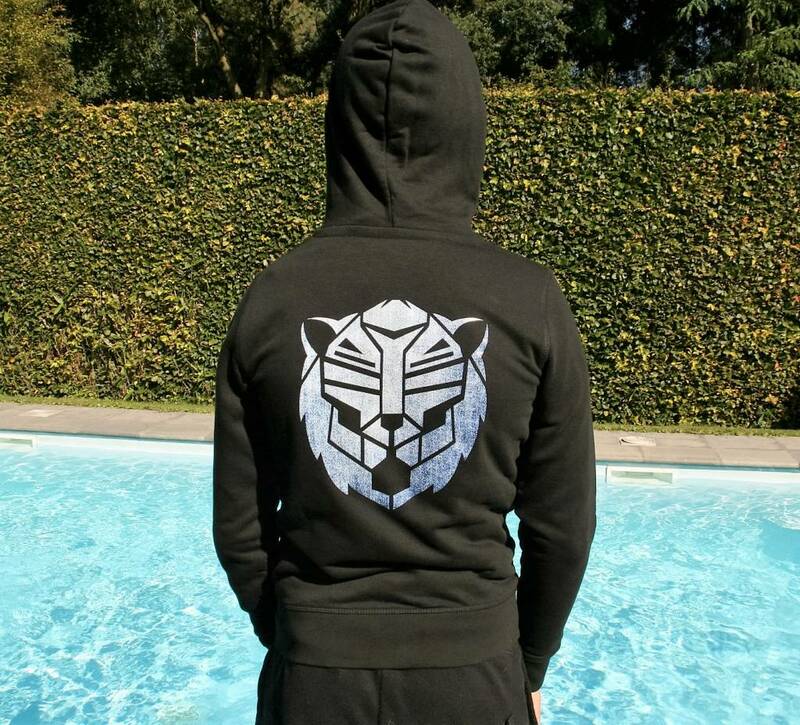 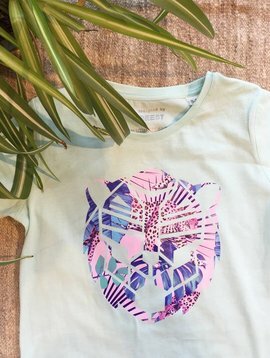 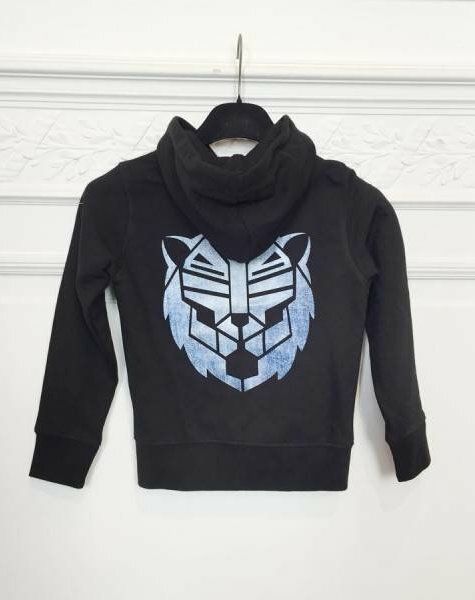 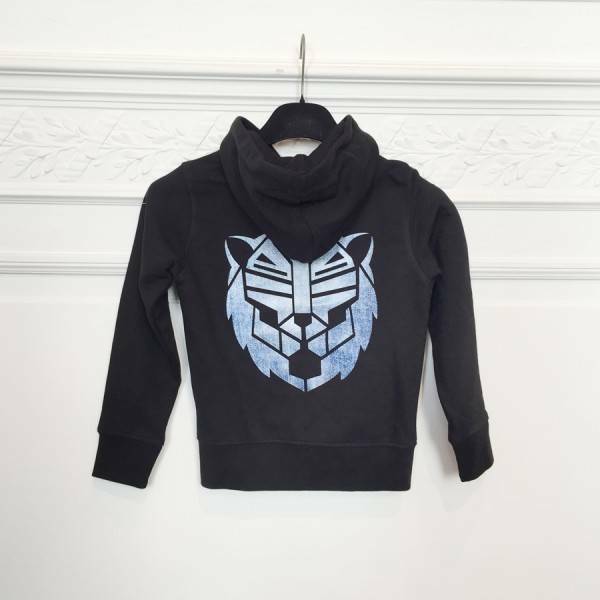 Hoodie black with simba (tiger) in blue jeans colour for girls and boys. 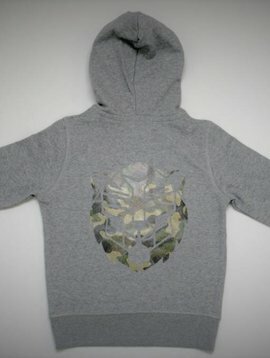 This hoodie is made of 85% organic combed ring-spun cotton and 15% recycled polyester. 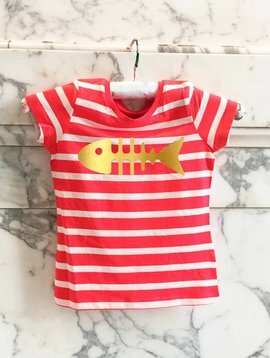 It's comfortable and easy to pull on and off!